Here we see the third prophetic proclamation of Jesus about His death. The first was when Peter told Him that it was not going to go down that way. And Jesus rebukes Peter telling him that he was looking at this in the flesh not from God’s perspective. How often do we do that? 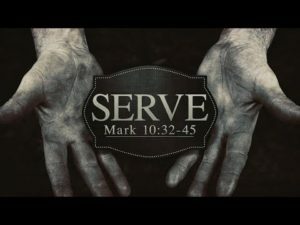 We look at the circumstances surrounding us and instead of looking for God’s hand in it we try and control the circumstances by rushing to action. The second time Jesus declares His death, the disciples are all discussing who will be the greatest. This seems strange to us because we are looking at it from this side and we know the end of the story. But the truth is I believe this is a result of selective hearing. This happens often with couples I counsel. One person will be gin to say something and the other person hears just a portion of what was said and they are off to races with their own thoughts. The disciples heard the Kingdom and they jumped to ruling and reigning with Jesus. We will see that not all of them get the lesson the second time and fall into the same trap again. This is the most descriptive of all of the prophetic accounts of Jesus. Jesus knows the very details of how this thing is going to go down. There are 2 things that amaze me with this. First is the fact that Jesus knew the details, if I knew the details ahead of time of my death, or even the details of the next problem, I think I would try and avoid that. Maybe that is what the disciples are thinking. He knows the details so maybe he is going to avoid all of that. The second thing is not only does he not avoid it but He embraces it and even tells His followers the details. He knows what will happen and instead of trying to rally the troops on His side to defend Him, He instead tells them what is about to happen so they will be prepared and not be afraid. Here is some good news for us… God knows the details already of your next challenge. He knows exactly how it is all going to go down and He is willing and able to walk through it with you. You don’t have to be afraid of the future. God is already going ahead of you and making a way for you through the trial. That is how good our God is. If He was willing to walk through the worst moment of His life, He will not abandon you in the the worst moments of your life. Wow! do you see the boldness of these guys? At first I think how arrogant of these guys to think they can ask anything of Jesus. But then again, isn’t that what God asks of us? That we would have such a close relationship with Him that we feel like we can ask Him for anything? In fact in the next chapter Mark 11:24, Jesus even tells His disciples this very thing. “Therefore I tell you, whatever you ask for in prayer, believe that you have received it, and it will be yours.” So when I look at these guys, am not sure what is in there hearts. But notice this if it is arrogance or if it is simply a desire to be as close to Jesus as possible either way Jesus does not shut it down instead He engages in the question. There are several important things to notice in this request. First is the proximity of the request. They have asked to sit a Jesus right and left. The seat at the right of a throne was considered a place of Honor. Literally the idea is highest favor. When researching this I found it interesting to see that to sit at the right was to gain special access and privileged communication as well as authority. To sit at the right hand of an earthly king was a place of honor, denoting special trust, authority from, and relationship with the king. The seat at the left was a place of intimacy. It was considered to be the person who the was most loved. Interestingly enough John was given the place to the left of Jesus at the passover meal just before Christ death. Traditionally this has always been seen as a grab for power by these two. And that may not be an incorrect assumption, that is certainly how the others perceived this request. But I wonder just because someone thinks that is the motivation does that mean it is always true. The second thing I find interesting is there is not a direct request of one to sit on His right and the other on his left. They are not fighting over right vs left they just ask that one of them sits on his right and the other on His left. I am not sure what that means other than I think they just wanted to be close to Jesus. They didn’t want to miss out on anything. If I give them the benefit of the doubt, I like this request in some way. The third is they recognize it is HIS glory. If there is only one thing they get right in the statement, it is this. It is God’s glory not their own. I am not saying what they have done is right but I could see how that could have been an innocent request. Whether or not that is true, this becomes a much greater issue for the other disciples. But let’s look at Jesus response. Jesus, does not scold them and say how dare you ask for this, instead He tells them they really don’t know what they are asking for. You see Jesus is focused on the path, not just the destination. Oh that is is important, Jesus is more concerned with our path, not just our destination. It is important to realize Jesus doesn’t just want to give you a ticket to heaven, He wants to give you a life here and now with God. Jesus knows what is about to come, and the way to glory is through suffering. Jesus knows that in order to come into His glory He must walk the path of suffering and the cross. In some sense can see Jesus thinking about the thief on His right and His left and saying. You don’t want to follow me there. James and John, the “thunder twins” respond without understanding again, They just immediately respond without really hearing what Jesus was saying. Selective hearing once again. And Jesus confirms the truth of the statement. They will suffer with Christ. They will go through the trials he must face. In fact in Acts 12 we see that James was the first of the 12 apostles to be killed. It tells us that he died by the sword which was a common way to say that he was beheaded. There was no special privilege to being counted among the followers of Jesus. They had to experience death and suffer for the cause of Christ. But Church History tells us that James was faithful to the end. On the other hand John was not executed but instead suffered many attempts at His martyrdom. History Tertullian tells us he was boiled in oil and it did not kill him, so they exiled him to Patmos where he wrote the book of Revelation. Then evidence suggest he eventually died of old age in Ephesus. They were truly the first and the last of the apostles. The important truth for us is that if we are to be His disciples we must recognize our lives are not our own. We cannot expect to be His disciples and not face hardship, persecution and even possibly death. As I said earlier this request was interpreted by the disciples as a power play. Whether that is true or not it revealed the fact that this was in their own hearts. Sometimes the reason we struggle with others is not because what they have done is wrong but because it reveals our own heart and motives. Jesus eludes to this in Matthew 7:1-5 when He talks about judging others and he tells us to pull the telephone pole out of our own eye before we look for the splinter in someone else’s eye. 15 Rejoice with those who rejoice; mourn with those who mourn. 16 Live in harmony with one another. Do not be proud, but be willing to associate with people of low position. Do not be conceited. 17 Do not repay anyone evil for evil. Be careful to do what is right in the eyes of everyone. 18 If it is possible, as far as it depends on you, live at peace with everyone. Here Jesus makes His ultimate statement of the book of Mark. Jesus reminds His disciples that the kingdom He is creating is not like the worlds system. The greatness is found in servanthood and honor comes through sacrifice. 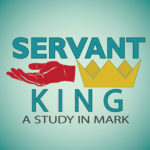 Vs 45 is commonly known as the central verse of the book of Mark and ultimately the reason this series is titled Servant King. Jesus declares to His disciples the purpose of His life on this earth. Jesus came for one purpose to serve us and to give His life for us. But don’t miss the fact that Jesus in doing that has called us who are His disciples to do the very thing He did for us. We must be a slave of all. We must live a life of self sacrifice to help other to know who He is. Are you willing to give up everything you want, desire and long for? If you are you are His disciple, if not, then who are you? I never noticed this before but this manes name is not his surname. He is called Bar-timaeus which means “son of honor”. The truth is it is only till we recognize we are blind sitting on the roadside begging for Jesus to have mercy on us, that Jesus is able to come and heal us and make us the Sons and daughter of Honor. Just like Blind Bar-timaeus Jesus is is calling. Lay down everything before Him. Have faith that He is good. He will take the scales from your eyes. He will help you to see. But the path that He calls us to as His disciples is servanthood and sacrifice.